Oregano oil is renowned for being a purifier but is probably not as widely used in aromatherapy as many other essential oils. It is derived from a different variety of the plant than the standard oregano that is used in cooking. Oil of oregano was used by the ancient Greeks and has a number of health benefits. Oil of wild oregano is taken from wild plants grown in mountainous areas. To help destroy the bacteria that causes infections. Oil of oregano can be administered to wounds and infected skin, as it has antibacterial properties. The oil must be diluted first into a cream or carrier oil. It can also be useful to treat infections of the gums. It can be applied to insect bites to reduce swelling and infection. To help support the digestive system and combat any disorders. It is a natural remedy for indigestion and will calm an upset stomach. Oregano oil can be taken internally, but care should be taken with the dosage. No more than two or three drops should be diluted in a glass of water and this should only be done on the recommendation of a qualified professional. The oil is also available in capsule form for internal use. By using the oil internally in this way it can also be of benefit for sufferers of irritable bowel syndrome, as it is soothing for the muscles of the digestive tract. It can also be beneficial for urinary tract health and help to fight off any infection in the bladder. Oil of wild oregano is thought to be beneficial for digestion by encouraging production of bile. It can also help the body to rid itself of toxins, which will promote a healthy immune system. To support the respiratory system. Oregano essential oil can help to keep the sinuses clear of congestion and, as already mentioned, can be taken internally. The oil can also be taken internally if you feel a cold starting in order to ward it off. This can also be beneficial for allergies and asthma. To keep the joints supple and the muscles in good health. Capsules of oregano oil can relieve the pain caused by conditions such as arthritis. Adding the oil to bathwater or using it in massage oil can help to fight off fungal infections such as athlete’s foot. By supporting the systems of the body, the oil can encourage blood flow and help to regulate the menstrual cycle. Oregano oil is a powerful antiviral and helps to prevent colds and flu as well as a potent remedy for ear infections. Read more about antiviral herbs here and more on ear infections here. Anybody taking iron supplements should take care with oil of oregano, as it may have a negative effect on the body’s ability to absorb the supplements. Pregnant women are advised not to take oregano oil as they need increased levels of iron. 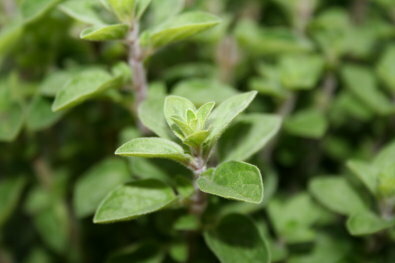 Those who have any sensitivity to mint, thyme or sage may find that oregano also causes an irritation. Use of oregano is not recommended for longer than a few weeks at a time.